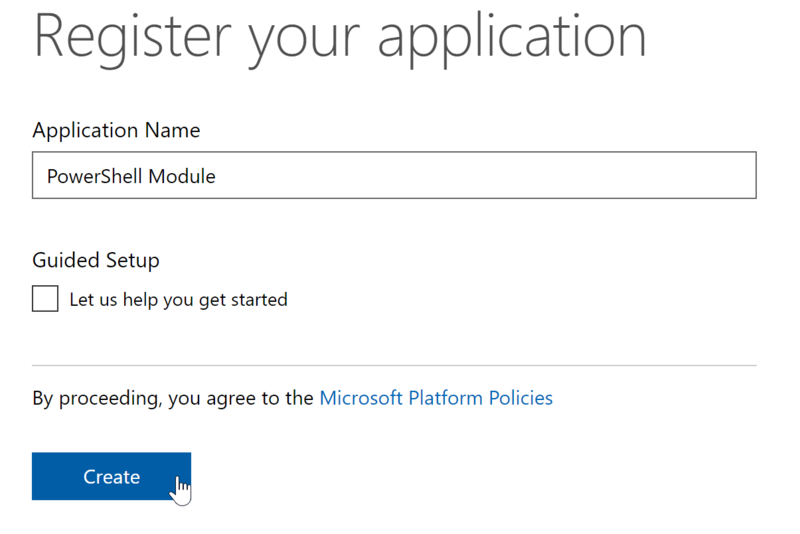 To connect to the Microsoft Graph API using PowerShell we will have to install the PSMSGraph PowerShell module from here. 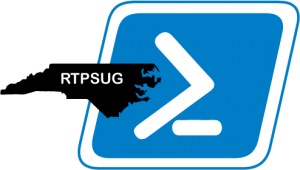 The PSMSGraph Module is also available on the PowerShell Gallery. Next step is to put in your application name and press the “Create” button. 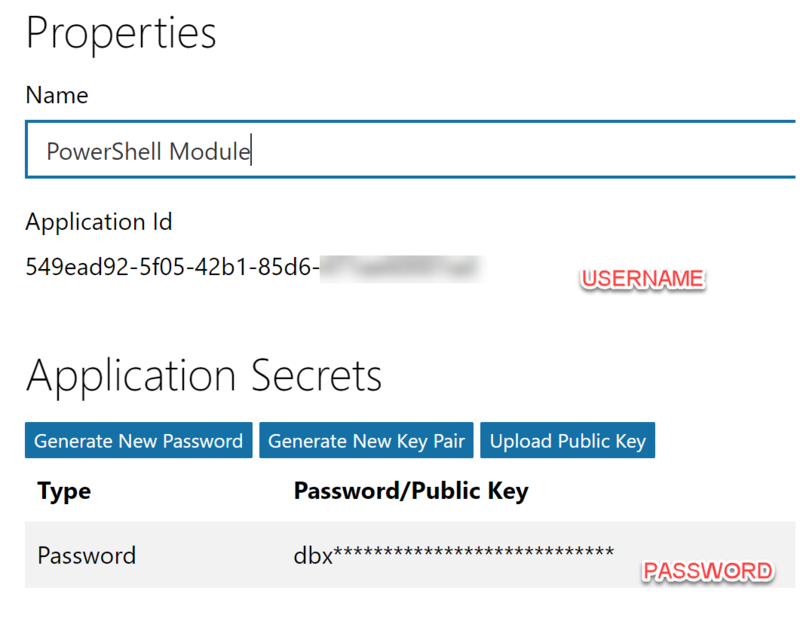 In my example I am naming my application “PowerShell Module”. I would suggest to not go through the Guided Setup process for this. First think you want to do is generate a new Application Secret Key. It will only show you the key once so note it somewhere we can reference later. Once you have entered in your ReplyUrls you can save the changes. 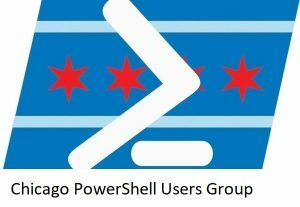 Next launch PowerShell ISE. Copy over the entire script below. We will go through it piece by piece. By the end of it you will have authorized your application to connect to the GraphAPI and exported the Access Token which you can continue to use. 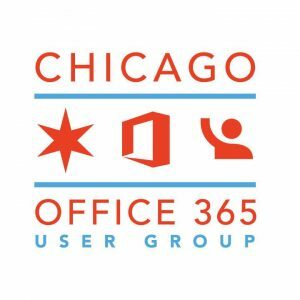 # This will prompt you to log in with your O365/Azure credentials. 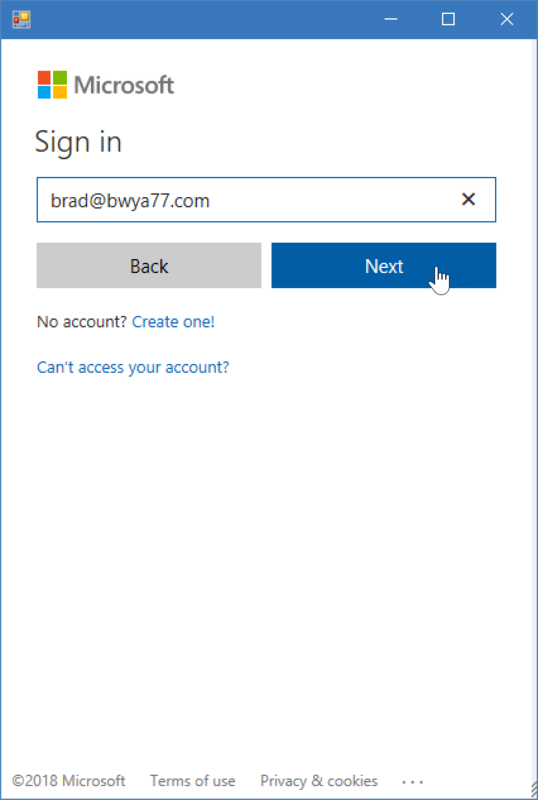 # The username and password is not passed back to or stored by PowerShell. # see the following help for what resource to use. 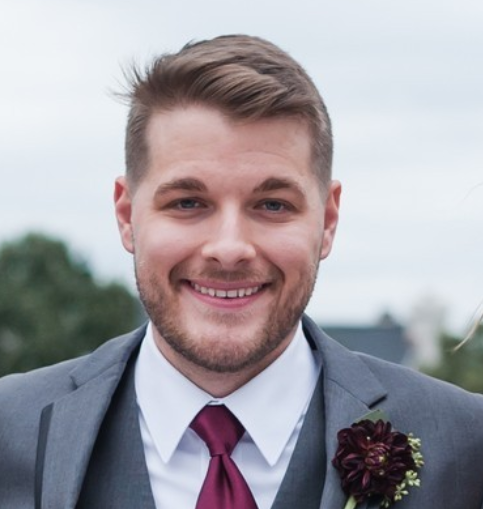 Which will import the PSMSGraph module for us to use. Next, we will want to create a credential object and store it in a variable called ClientCredential. DO NOT put your Office 365 / Azure credentials in here. For the username you want to input the Application ID, the password is the Client Application Secret. Next, we will want to enter our Graph Application parameters. The Name is the name of the application. the ClientCredential is the credential object we created in the earlier step with the Application ID and Application Secret. Set RedirectUri to ‘https://localhost/’. The Tenant is the tenant domain, this is the .onmicrosoft domain you get when you first sign up. 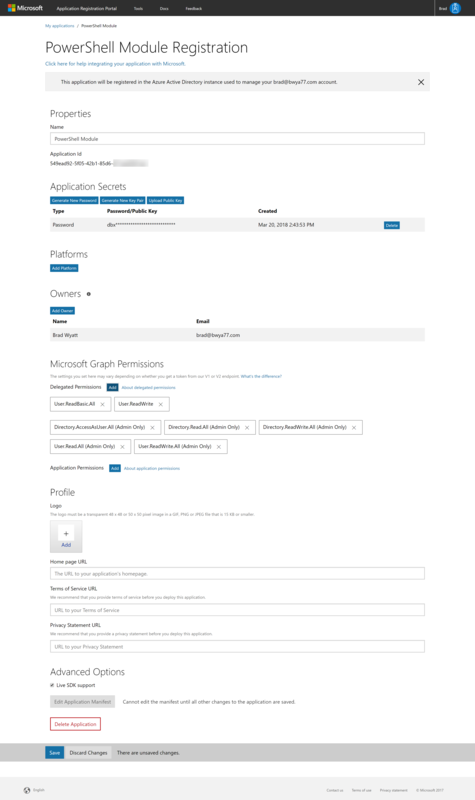 Each time you want to connect to the Microsoft Graph API you will need to export the AccessToken. When you disconnect you will want to export the AccessToken. This MUST be done each time. You will see a full list of your users and all their attributes. You can use the regular Select-Object cmdlet to select any objects you want to see if you don’t want everything.